At CSI Portsmouth 2012 crime authors Stephen Booth, Matt Hilton, Ann Cleeves and Pauline Rowson joined crime experts from Hampshire Police, Hampshire Fire and Rescue Services, the University of Portsmouth and the University of Surrey to talk about crimes including cybercrime, fraud and stalking. 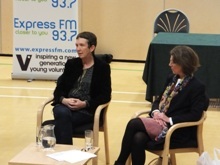 They were grilled by Cheryl Buggy, Station Director of Express FM radio. 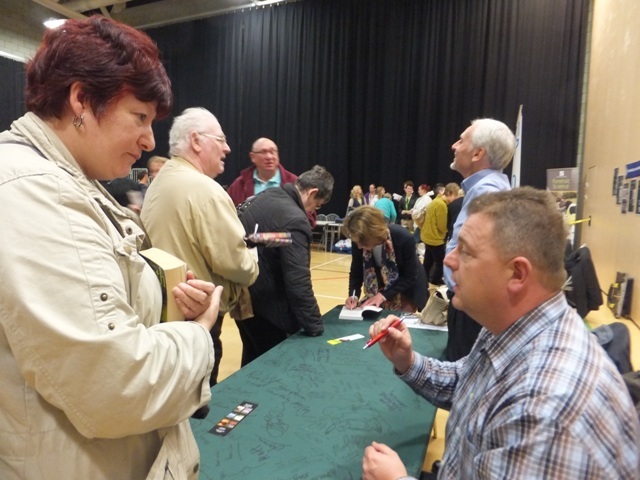 Over a hundred and sixty people attended the one day event held at the John Pounds Centre, Portsmouth. 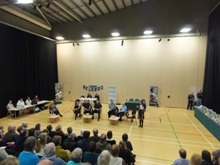 The audience also had the chance to put their questions to the panel and to talk to the team from the fingerprint bureau and students from the Forensic Science course from South Downs College who provided a crime scene. On the morning panel Carolyn Lovell, Crime Scene Manager/Coordinator for Hampshire Police, gave a fascinating insight into her role of managing crime scenes and spoke of how the advances in science were assisting the conviction of criminals but in turn adding to the amount of paperwork the police increasingly have to complete in order to bring a case to court. With an MSc in Forensic Archaeology Carolyn was also quizzed about her study of the decomposition of pigs and how it affected the forensic recovery of finger marks in blood on items within the grave environment. Asked about the biggest challenges facing her team, Carolyn said the lack of resources and cut backs in the police were presenting increasing difficulties, a point that was shared by DC Terry Fitzjohn, Fire Investigation Officer for Hampshire Police, who joined Carolyn on the morning panel. 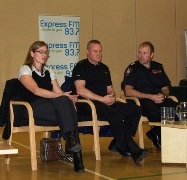 Alongside Watch Manager Andy Earl from Hampshire Fire and Rescue Services, DC Terry Fitzjohn spoke of how Hampshire Police and Hampshire Fire and Rescue Services had combined to provide an Arson Task Force that was so successful in not only reducing arson attacks but also in securing convictions that other police forces across the UK were now consulting them over, wishing to emulate their success. Andy Earl explained that the Hampshire Arson Task Force had been set up in April 2007 and now boasts a fifty three percent arrest rate with a conviction rate of seventy percent, which is 2 to 3 times the national average. 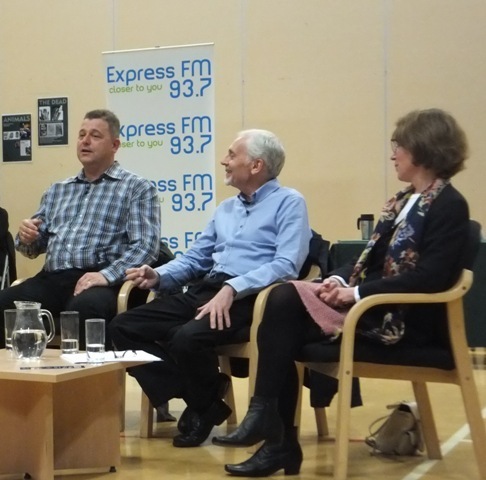 Both Terry and Andy spoke of some of the harrowing incidents they’d attended and told the audience how they dealt with them by often using a dark humour to relieve the tension, but adding that their professional training helped. Asked about the challenges facing the authors, Matt Hilton, a former cop and author of the Joe Hunter series of action packed thrillers, spoke of the pressure to not only write two novels a year but at the same time to see novels through copy editing to publication across different publication timetables in the UK and the USA while continuing to promote and market them. Stephen Booth, author of DC Ben Cooper and DS Diane Fry series set in the Peak District spoke of the challenges of writing a continuing series and at the same time keeping it fresh for the reader, a sentiment that was echoed by Pauline Rowson author of the DI Andy Horton series set in the Solent area on the South Coast of England. The panel session ended with a book signing by the authors and there was the chance for the audience to talk individually to the authors and experts. The afternoon panel guests at CSI Portsmouth 2012 were crime authors Ann Cleeves and Pauline Rowson and crime experts from Hampshire Police, the University of Portsmouth and the University of Surrey. 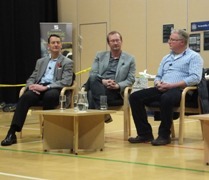 During the afternoon the audience were whisked away from gruesome crime scenes of the morning panel debate to cybercrime, fraud and stalking. 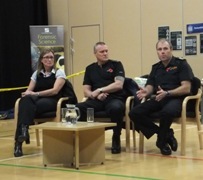 Adrian Fretter, from the Hi-Tech Crime Unit of Hampshire Police, explained how ever changing technologies present major challenges for the police and how the public’s perception of crime solving has been raised to an unrealistic level in recent years because of the popularity of CSI programmes on television. 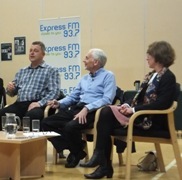 Adrian also told the audience that sharing so much information across the web including personal details such as date of birth was potentially dangerous and could lead to identity theft and fraud, a sentiment that was echoed by fraud expert Dr Mark Button from the University of Portsmouth. Dr Mark Button, Director of the Centre for Counter Fraud Studies, and Associate Head Curriculum at the Institute of Criminal Justice Studies, University of Portsmouth has written extensively on counter fraud and private policing issues. He relayed a harrowing tale of one individual whose bank account had been hacked into and using this and personal details stolen from the Internet the criminal had purchased and downloaded obscene images resulting in the innocent man’s arrest. Eventually the criminal was apprehended and the innocent man’s name cleared but his reputation and life had been left permanently scarred. 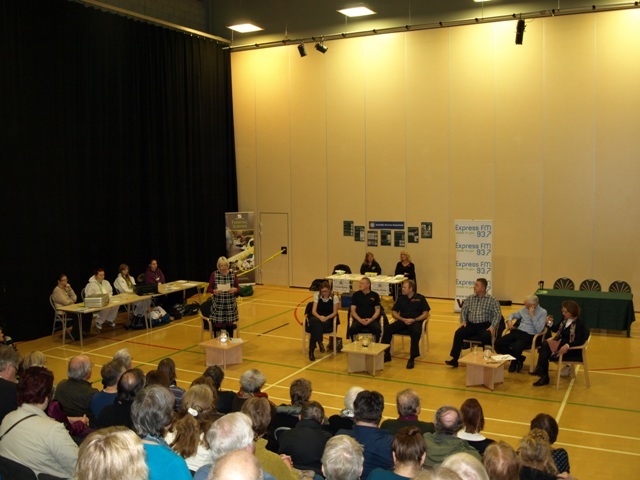 It was a case of fact and fiction merging as Pauline Rowson told the audience how this echoed the plot outline of one of her thrillers In For The Kill. In the novel Alex Albury is arrested and imprisoned for fraud and embezzlement after his identity has been stolen and his computer hacked into. On his release from prison Alex sets out to find the man who destroyed his reputation and his life. When asked by Cheryl Buggy whether his research into Stalking had made him more cynical Professor Bran Nicol said that it had made him more aware of the fine line between what is perceived as normal banter and acceptable behaviour and what could potentially be construed as stalking and lead to more dangerous behaviour. Professor of English Literature at the University of Surrey, Professor Nicol’s book, Stalking, was shortlisted for the 2007 Times Higher Young Academic Author of the Year award, and has been translated into Italian, Korean, and Japanese. He has appeared on many radio programmes and featured in the documentary Stalked - to Death, for the Irish channel, TV 3. He spoke of how the Internet is changing the nature of stalking and how the accessibility of the Internet and the increasing amount of personal information on it had the potential to expose individuals to more crime, a sentiment that was echoed by both Dr Button and Adrian Fretter. 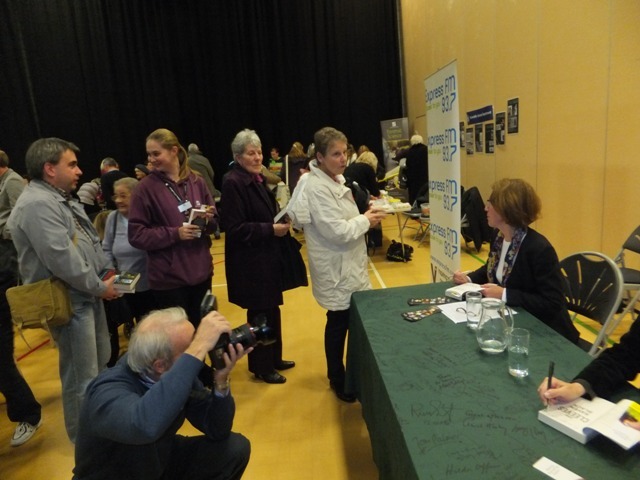 Ann Cleeves, author of the Vera series of crime novels adapted for ITV said that she kept the use of technology to a minimum in her books. Ann stressed the importance of individuals of all ages having access to well-equipped libraries run by professional librarians, which could offer up a diverse range of literature across all genres. The afternoon panel session ended with a book signing by the authors and there was the chance for the audience to talk individually to the authors and experts.